Oh this is so cute. Love the sentiment its perfect with the image. Nice work. Beautiful card! Thank you for sharing with us at "A Perfect Time To Craft" and best of luck with your entry. What a colorful and fun card! 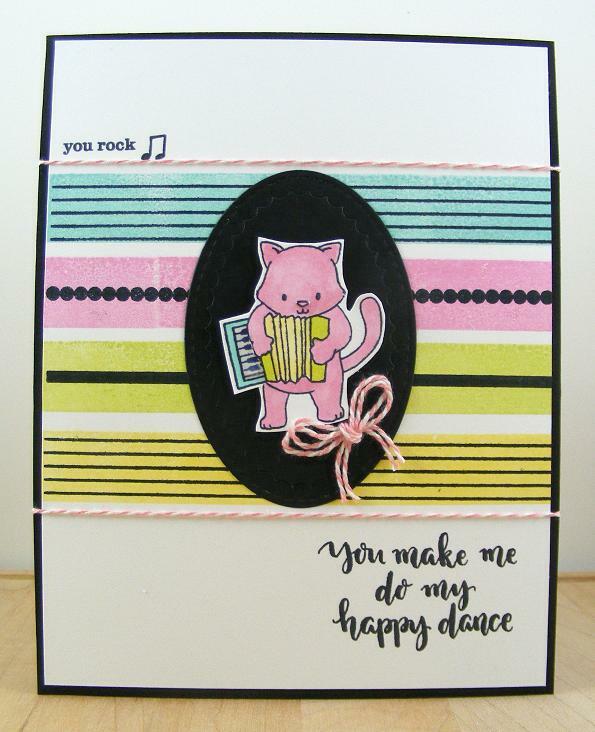 I love the background you created and the kitty with the accordion is adorable! Thanks for joining us at the Joy Clair World Cardmaking Day Event Challenges! Gorgeous card, I love your colour combination and the sentiment.